Please print and fill out the following forms to facilitate your first appointment. 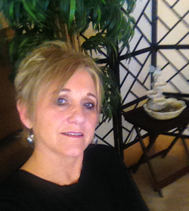 Diane will strive to make your massage experience very comforting even when you come in with great pain. You will find the atmosphere very relaxing. Diane‘s goal for your session is results. Upon your first visit, expect consultation, so together you can come up with the goals you would like to accomplish with your massage treatment.